The disturbingly dark comedic works of artist and writer, Edward Gorey, were showcased in a musical performed by the CSUN Theatre Guild at the Nordhoff Hall’s “Little Theatre” in CSUN, April 22-23. The performances were collection of Gorey’s creepiest, yet silly, children-like poems and short stories with twist. Skits included in the performances were “The Gashlycrumb Tinies: A Very Gorey Alphabet Book” and “The Hapless Child” which deal with the abandonment, kidnapping and deaths of various children. Ghoulish face paint, and black and grey monochromatic costume designs were worn by all the actors of the performances. The Victorian gothic theme of the set and clothes seemed carefully chosen and detailed, according to CSUN alumni and theatre major Vanessa Rogers. The actors had talented voices and exaggerated facial expressions and movements throughout the entire show which was a favorite for Fatima Said, junior theatre major at CSUN. 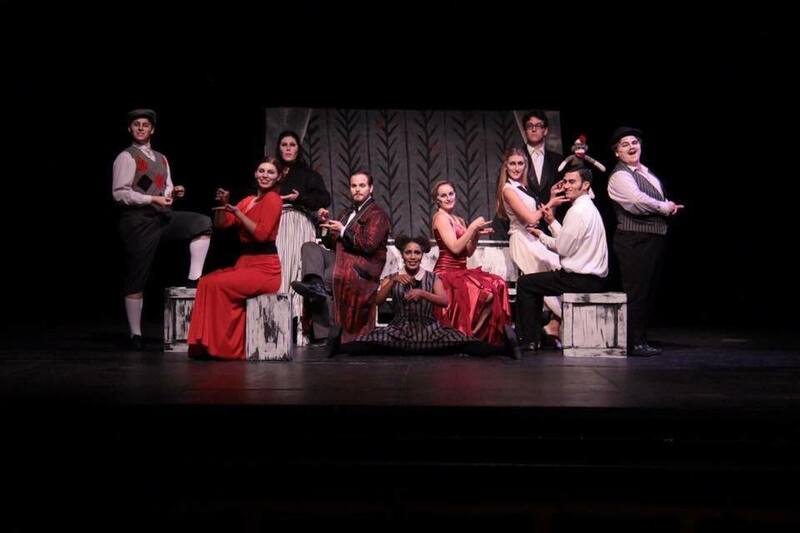 According to an actor of the “Gorey Stories,” Zachery Tannous, senior theatre major, the ten actors always wanted to meet and collaborate with the director in preparation. Secretary of the CSUN Theatre Guild and junior theatre major, Sarah Kline, was also an actress for the show who has had a passion for theatre since she was a little girl. The theatre was almost filled with a laughing and shocked audience throughout the entire show.